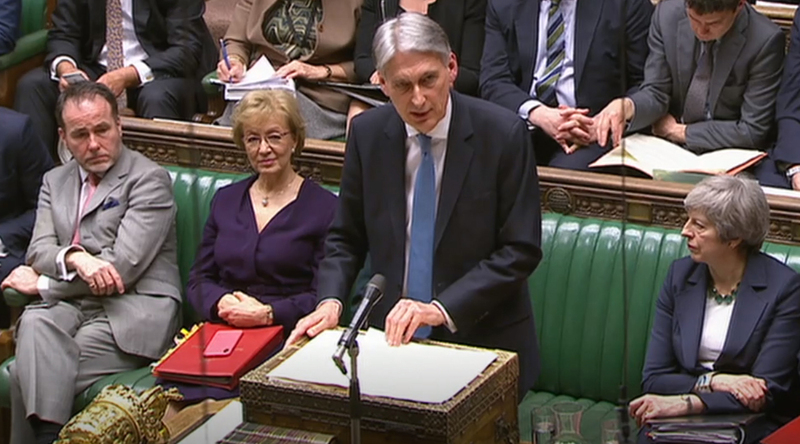 On Wednesday 13th March the Chancellor Philip Hammond presented to Parliament the Office for Budget Responsibility’s (OBR) economic and fiscal outlook. 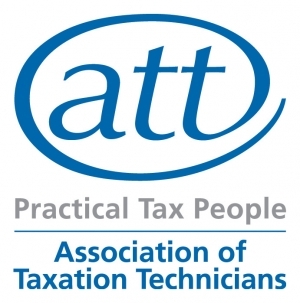 No changes to the tax system were announced in his statement, and only a small number of spending measures. Last October the big picture was that if the Chancellor had done nothing in his autumn Budget, then the UK would be on course to have an annual surplus by 2023-24. The Chancellor decided then to make the largest discretionary fiscal giveaway, since the institution of the OBR in 2010. Fortunately, the outlook for public finances has improved again since October ’18. Tax receipts continue to perform better than expected, something that the OBR believe will endure, combined with reduced debt interest from lower market interest rates. These are the two principal reasons for the modest medium-term improvement to public finances. Apparently, of the six forecasts produced by the OBR since the EU referendum, four have shown an improved outlook for the public finances and two have shown a deterioration. Each has resulted in some fiscal giveaway. Economic growth in the UK and globally has slowed since the Budget in October, leading the OBR to revise down the near-term GDP forecast. 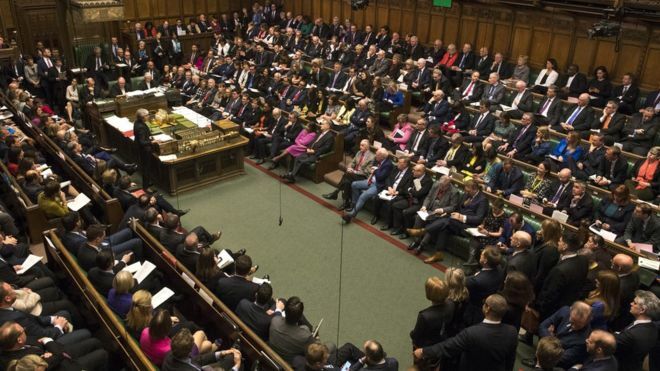 The OBR’s forecast was produced at a time of considerable political uncertainty hanging over Brexit’s progress; when or even if the UK will withdraw from membership of the EU. To be consistent with government policy the OBR assume the UK makes an orderly withdrawal from the EU on 29 March into a transitionary period until the end of 2020. In this, there is no change to their broad assumptions since the referendum, with a disorderly period of exit remaining the largest short-term risk. In recent weeks survey indicators of current economic activity have weakened, in part reflecting heightened uncertainty related to Brexit. As a result, the OBR revised down forecast GDP growth to 1.2%, reversing their previous upward revision. The outlook for potential output is little changed with medium-term GDP growth forecast at around 1½ per cent a year. Although, the downward revision of the GDP forecast opens up a small margin of spare capacity, in their judgement. Slower growth early in the forecast means slightly faster growth later as that ‘output gap’ closes. There is around a one-in-two chance of a recession in any five-year period, implying a one-in-five chance of the economy shrinking in 2020, but the same probability of it growing by 2½%. The OBR’s pre-referendum forecast in March 2016 had real GDP growing by over 5% between the second quarter of 2016 and the end of 2018. Their first post-referendum forecast lowered that to 4%. The latest outturn data show growth just over 4%. Since June ’16, the UK economy has held up much better than expected, creating over 950,000 new jobs, but now appears to be slowing, with business investment cited as a reason, having fallen in each quarter of 2018, owing to Brexit uncertainty. 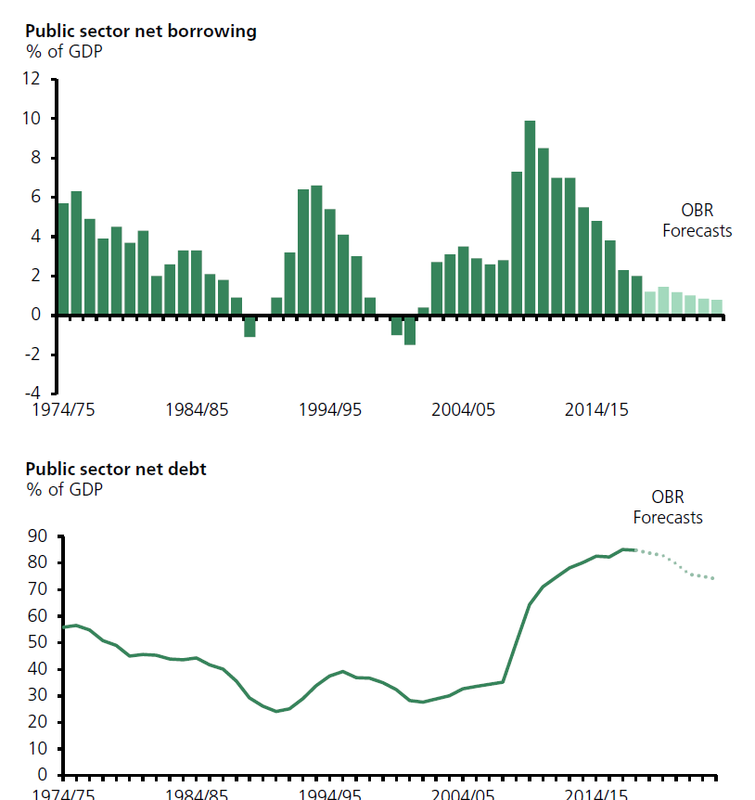 The OBR now expect the annual deficit between public sector spending and income (public sector net borrowing) to be around £23 billion (or just over 1% of GDP) this year, down nearly £3 billion since last October. By 2023-24 that improvement is over £6 billion, again primarily because of higher income tax receipts and lower debt interest. 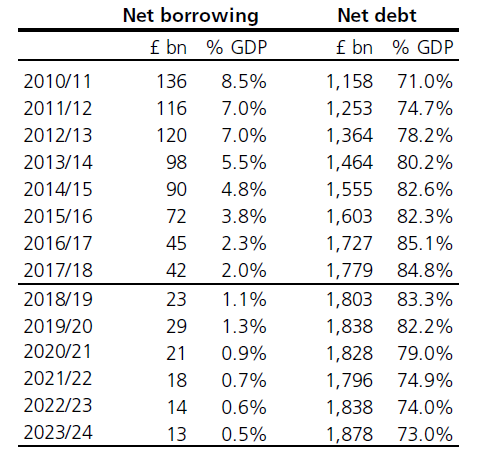 These downward pressures on borrowing are partially offset by the more than £2bn cost of 20 policy decisions announced since the Budget and in the Spring Statement, that leaves the expected deficit in 2023-24 at £13½ billion (or ½% of GDP). An aim has been to balance the budget by the middle of the next decade (2025-26) and on past performance there is less than 50/50 chance of doing this. 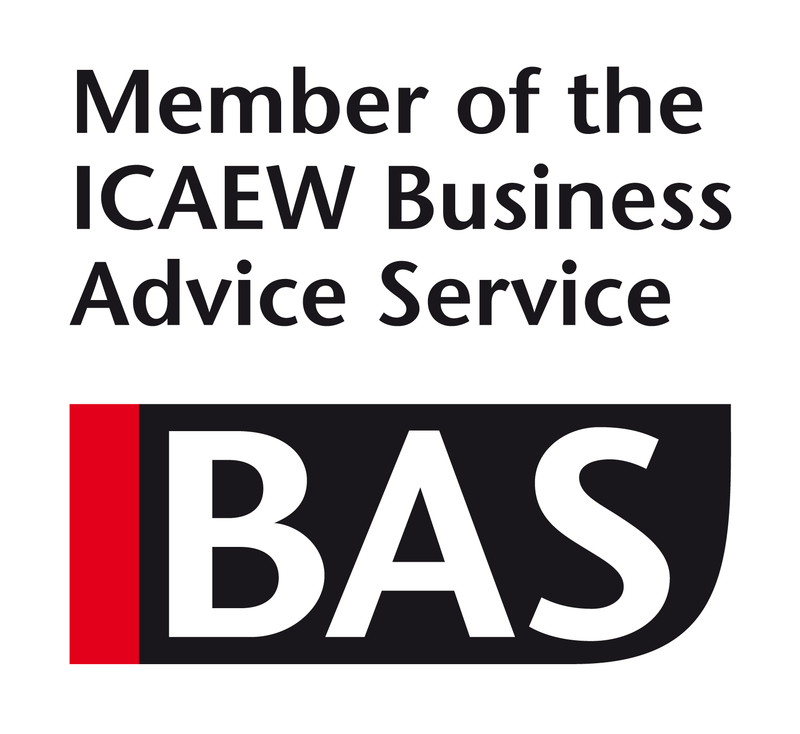 Factors affecting success include: the ageing population putting greater upward pressure on spending, the open question of Brexit, the contribution of net migration to population and employment growth, and lastly but possibly with most importance, productivity growth. Nevertheless, Government remains on course to bring the structural portion of the budget deficit to below 2% of GDP by 2020-21, with some improved headroom, and to reduce the overall GDP net debt ratio in 2020-21. The OBR expects the debt-to-GDP ratio to fall from its peak in 2016-17, to just over 83% this year 2018-19, to the forecast level in five years’ time 2023-24 of 73%.